Item number 1444/28 from the MOA: University of British Columbia. 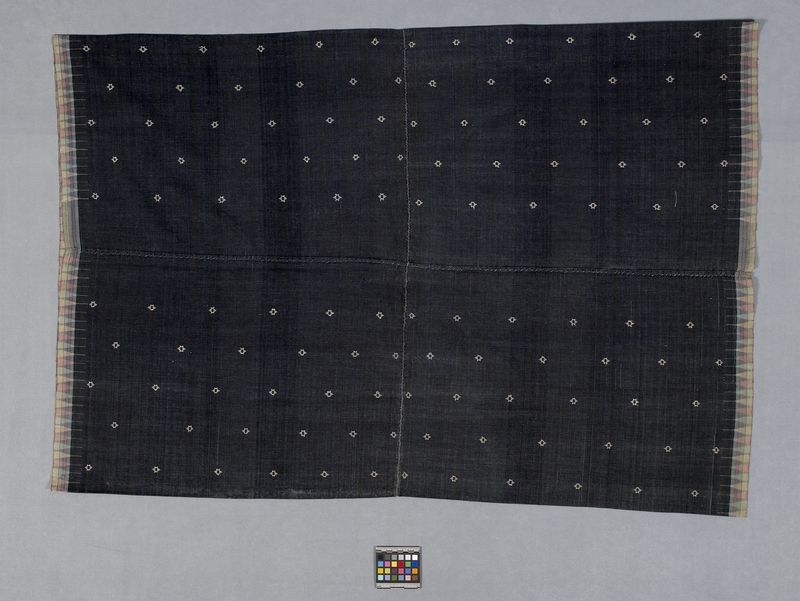 Sarong made of pieces of blue fabric sewn together to form a tube. 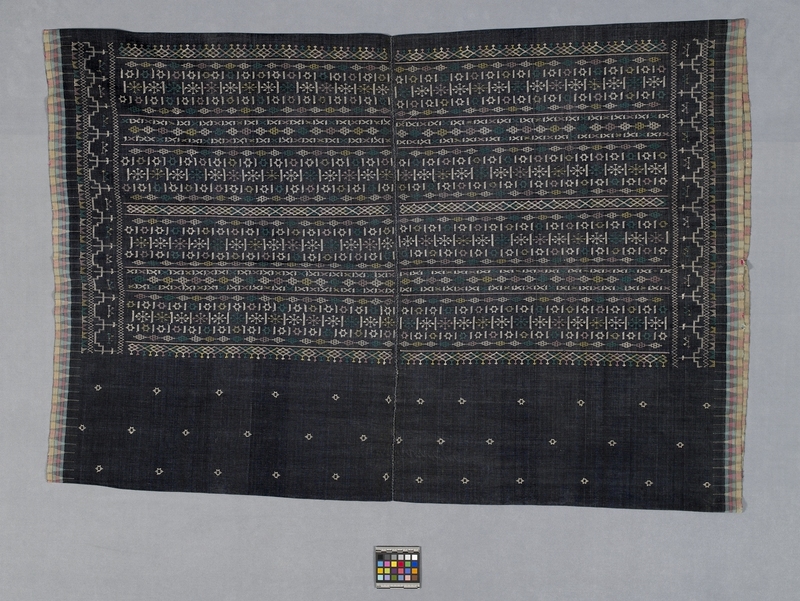 The blue fabric is embroidered with a geometric design in green, white, yellow, and pink.